The Art Outreach Gallery to screen TED Talks videos. The Art Outreach Gallery will screen two ~20-minute videos from the remarkable TED Talks video archives at 7:00pm, Thursday, September 1. The presentation is the first of a planned 6-event series called STIC (for Space-Time-Ideas-Community). The inaugural STIC event features recorded videos from astronomer, author and education contrarian, Clifford Stoll; and from social media consultant and author, Clay Shirky. Future STIC 2011 presentations will be announced one week before event. All STIC events are free and open to the public. Niles Iron and Metal is very pleased to be the official sponsor of the first STIC event. Information on TED Talks, TED conferences and events, and the TED organization can be found at www.ted.com. In keeping in the spirit of TED, the Art Outreach Gallery encourages all to join us to help spread IDEAS WORTH SPREADING! Be sure to check this site or contact the Gallery for further class updates. See you at the Workshops! The Art Outreach Gallery is continuing its popular summer workshops for 2011. We invite area youth to participate in the workshops, a great educational program for children ages 3-16. Examples of the scheduled workshops include Yoga for Kids, Spanish and French language classes, Adventures with Scrappy, Robot Shop, Making Recycled Paper, Art of Photography, and Jewelry Making. Area art educators and students from Kent State University, Youngstown State University, Carnegie Mellon University, Bowling Green State University, and others will conduct the workshops. Due to generous donations from local foundations, businesses, and community volunteers, the students will enter the classes with only a donation of a non-perishable food item to Second Harvest Food Bank. The Gallery Committee feels it is important to give all students an opportunity to participate in the summer workshops while teaching children the importance of giving back to the community. Space and supplies are limited. Students must register to enter the classes. Workshop schedules and registration forms can be picked up at the Art Outreach Gallery or the Eastwood Mall Customer Service Center, or downloaded below. Please RSVP by completing the required registration form and drop it off at the Gallery or the Eastwood Mall Customer Service Center. Alternatively, you can download the registration form as a Word document below to type your information and email it back to artoutreach@gmail.com. 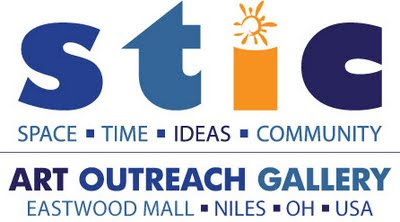 For more information, please contact the Eastwood Mall office at (330)652-6980 or Gail Stark at (330)219-7833.